Related to this topic is a new book review by Bill Gates of a book by Paul Sabin called The Bet: Paul Ehrlich, Julian Simon, and Our Gamble over Earth’s Future. The book is about the best between Paul Ehrlich and Julian Simon, which they made in 1981, which was about whether the prices of five different metals would rise or fall over the next decade. Simon, an optimist believing the world was heading toward greater abundance, challenged, Ehrlich, a pessimist who believed we were heading toward apocalyptic scarcity. There is no doubt that Simon won the bet. Ehrlich turned out to be extremely wrong. But while this is so, Gates agree with Sabin who warns against "focusing solely and relentlessly on positive trends" which makes it more difficult to solve real environmental problems. I think the warning by Sabin and Gates is justified. 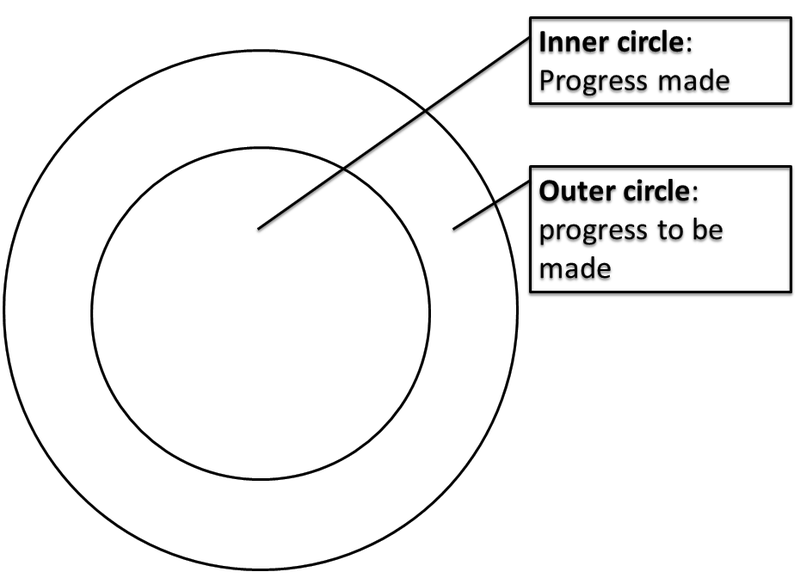 Their way of thinking reminds me of some research findings from academic psychology which I summarize here: Sometimes focusing on progress disengages us from our goal. Briefly, what is said here is, that focusing on accomplished goal-progress may disengage us from our goals, thereby hindering further progress. This decrease in goal engagement, however, only happens when the goal directed actions are interpreted as (partly) completing the goal. However, when the goal directed actions are seen as indications of strong commitment to the focal goal, goal shielding becomes stronger. What I argue in the article is that we must not only focus on progress but we must balance this with a focus on our commitment to make further progress.